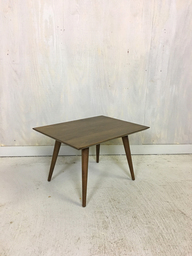 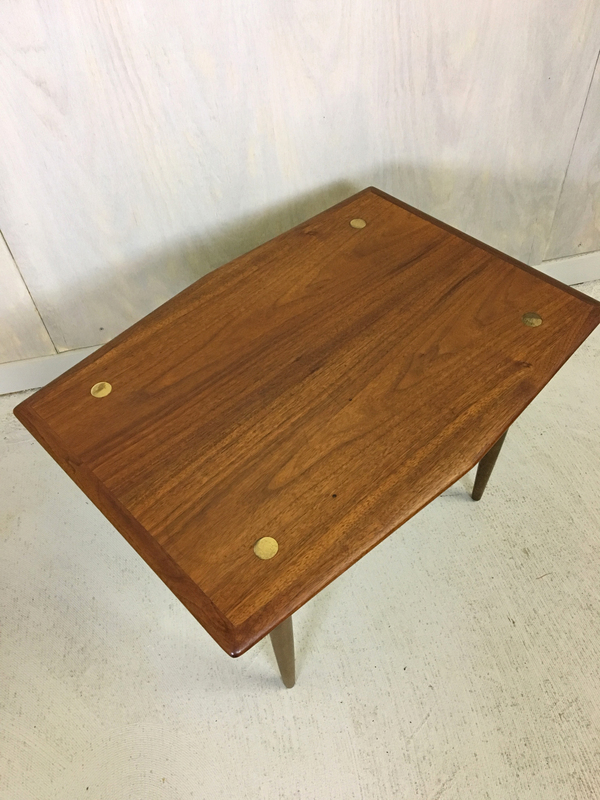 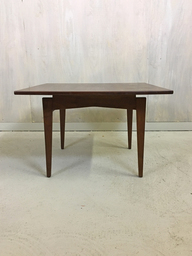 Stunning refinished Swedish modern side table by DUX circa 1960’s. 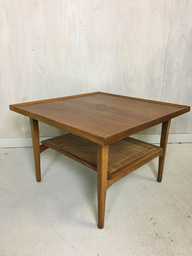 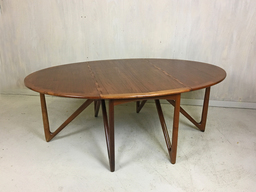 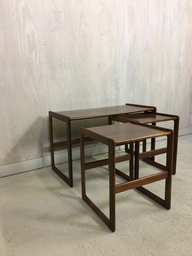 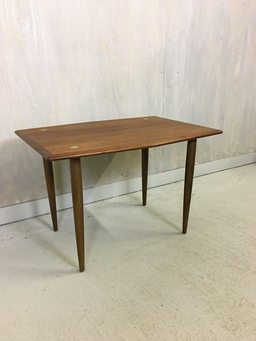 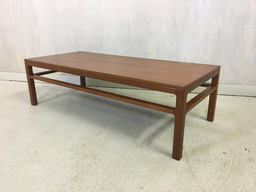 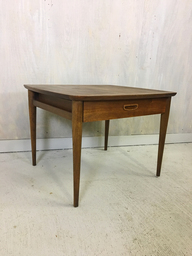 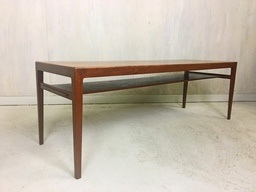 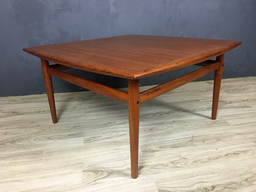 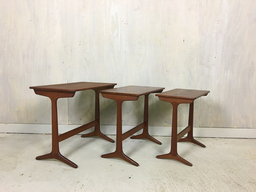 This teak table has brass accents in the four corners and a unique hexagonal shape. 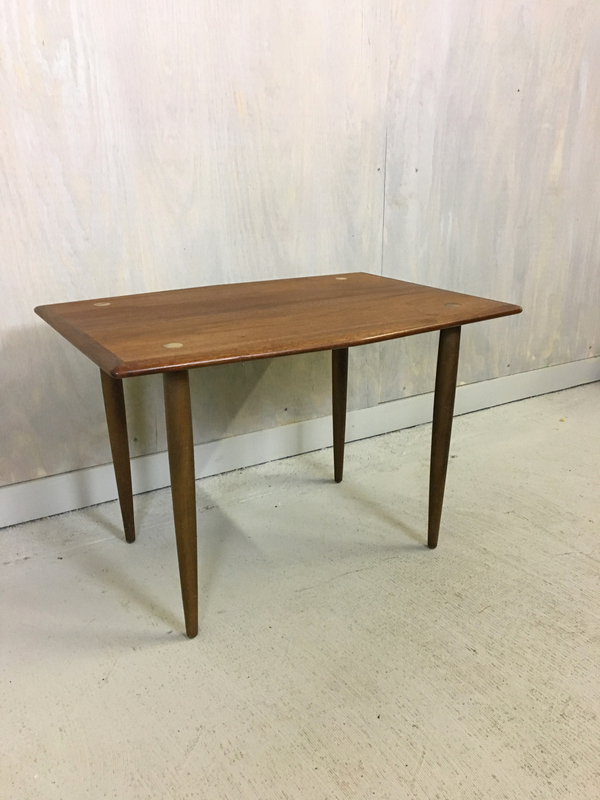 The table has been refinished and is in very good vintage condition with some wear on the brass accents and a couple of small dark spots on table top. 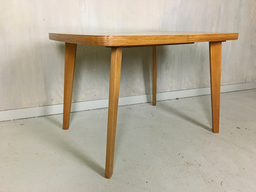 Marked "Made in Sweden."